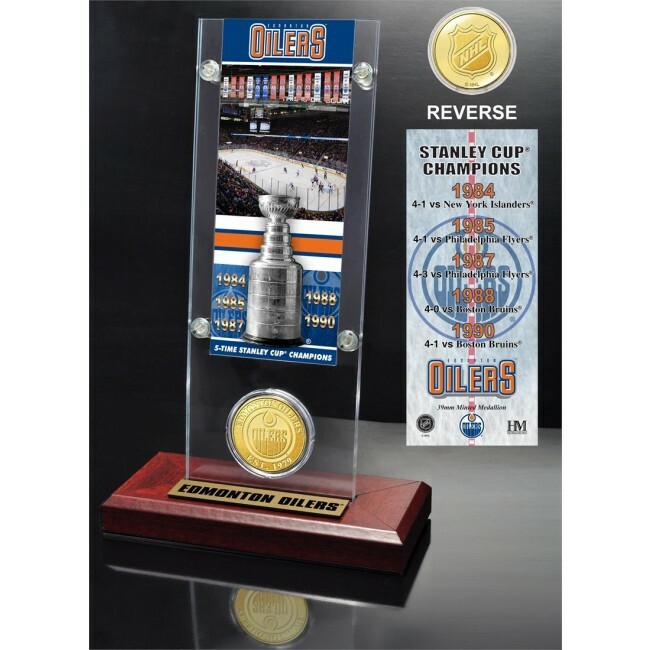 A Edmonton Oilers 5x Stanley Cup Champions 3"x7" ticket like layout slides in and out of 3.5" x 9" Acrylic holder that also features a 39mm minted commemorative team coin! The Stanley Cup championship games and scores are listed on the back of each ticket. The acrylic with the ticket and coin is delivered with a display base that has an engraved nameplate. Each coin is protected in a capsule and can be removed from the display. Proudly made in the USA by The Highland Mint.